Curaçao is one of Caribbean's pride and it is a must to savour every moment spent on its beaches scattered along the sheltered and calm southwestern coast. Enjoy a natural oasis and unwind in the shining warmth and glow of the Caribbean sun while sipping a glass of The Blue Lagoon at the posh Avila's Beach, Cas Abao Beach, or in a more undeveloped beaches like Jeremi and Santa Cruz. 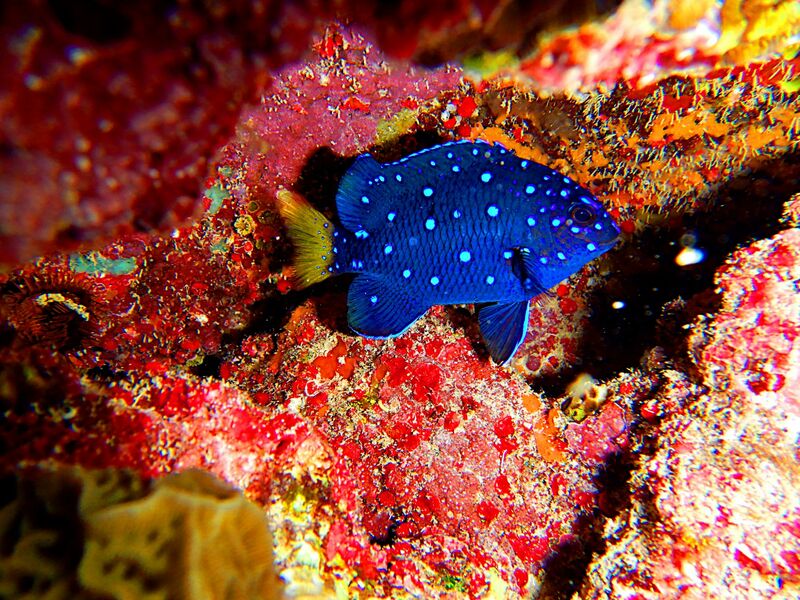 There are a lot of dive sites in Curaçao you can hop on, each offering different sights and wonders. There is the Airplane Wreck at Santa Martha where an old sunken plane can be found covered in colourful anemones, sponges, and corals. There is also the Barracuda Point, Double Reef, Kabayé, Light Tower, and more. Curaçao is full of nice hiking trails with amazing ecology. Walk along the rugged northern coast, or enjoy the trees in the south. Moreover, you could book a jeep safari at the Christoffel National Park and have a historical tour at the plantation and see the beautiful orchids being grown there. Curaçao is an autonomous country within the Royal Dutch Kingdom and together with its neighbors Aruba and Bonaire it constitutes the so-called 'ABC' islands or Leeward Antilles. The history of Curaçao begins with Amerindian Arawaks. The Arawaks and their subgroups migrated from regions of South America some 6,000 years ago, settling on various islands they discovered as they embarked on a centuries-long northward trek. The group that ended up in Curaçao were the Caiquetios, who gave the island it's name. After the late 15th-Century voyages of Christopher Columbus the Caribbean was put, literally, on the maps which made the area wide open for European exploration. The Spanish soldier and explorer Alonso de Ojeda, joined by the Italian Amerigo Vespucci, set out on a voyage (1499 - 1500) to chart much of the South American coast and, in turn, several offshore islands in the area. One story has it that during this voyage, a number of sailors came down with scurvy, and Ojeda had them dropped off on Curaçao which was on the way to South America. On Ojeda's return, he found the sailors alive and happy—presumably cured by the abundance of Vitamin C-laden fruit on the island. Ojeda was then said to have named the island Curaçao, after an archaic Portuguese word for "cure". Of course, Vespucci was Italian, not Portuguese, and de Ojeda was Spanish, but these stories seem to take on a life of their own, and are often much more fun than the real story. A more convincing theory is that the Spaniards called the island Curazon, for "heart", and the mapmakers of the day converted the spelling to the Portuguese Curaçao. At any rate, soon after de Ojeda's voyage, the Spanish came in larger numbers. By the early 16th century they had pretty well determined that the island had little gold and not enough of a fresh water supply to establish large farms, and they abandoned it. Finally, the Dutch West India Company, a quasi-private, government-backed company, laid claim in 1634. Learn more about the history of Curaçao by visiting these museums: Curaçao Museum in Otrobanda, Kura Hulanda Museum, Maritime Museum, and Mongui Maduro Library, to name a few. The people of Curaçao have never been intimidated by colour, nor have they ever held back on their interpretations of the vibrant colours surrounding them. The country is a melting pot of over 30 artists, some represented by the following art galleries: Chichi Curaçao Serena's Art Factory, Gallery Alma Blou (the oldest and largest gallery in the country), and Ritz Gallery, to name a few. Landhuizen, which means "country houses", in Curaçao were built in the 18th and 19th centuries, and wereusually former plantation houses. There used to be a 100 such small plantations on Curaçao, their names are still in use as place names, such as Pannekoek, Dokterstuin, Kenepa ,Brievengat, and so on. The central pivot of each plantation was the landhuis, where the master lived with his house slaves. Situated around the country house were the store houses and the huts of the slaves, who were set to work on the land or in the salterns. The villas were usually situated on a hill so that the land and the neighboring villas were within sight. They were raised from coral with the addition of some brick stone details. The high saddle roofs were made with Dutch tiles, leading the rainwater to detached brick built collectors. A surprisingly large number of these colonial homes has survived the ages. About 55 of these landhouses are still to be found, in different conditions, scattered around the island. Take a look at these preserved country houses that are open for public viewing: Ascension, Blauw, Brievengat, and Habaai. Majority of the population is Roman Catholic, with Protestant minorities, both evangelical and other denominations. But interestingly, there is also a Baha'i temple and a synagogue. The Mikvé Israel-Emanuel Synagogue in Willemstad is the oldest surviving synagogue in the Americas. It is commonly known as the Snoa (short for esnoga, an old Portuguese and Ladino word for synagogue) and is a major tourist attraction in Curaçao, with one notable group of visitors including Queen Beatrix of the Netherlands and her family, in 1992. The community (congregation Mikvé Israel) dates from the 1650s, and consisted of Spanish and Portuguese Jews from the Netherlands and Brazil. In the nineteenth century there was a breakaway Reformcommunity (Emanu El); the two merged to form the present community in 1964. The community is now affiliated with Reconstructionist Judaism. The first synagogue building was purchased in 1674; the current building dates from 1730. Pay a visit as well Fortchurch, the oldest protestant church on the island, built in 1769 within the Fort Amsterdam walls. For Catholics, visit Basilica of St. Anne, a Minor Basilica functioning as well as co-cathedral of the Diocese of Willemstad. It was built between 1734 and 1752 in the sector of Otrabanda and received its present status in 1975 by decision of Pope Paul VI. It is a world heritage site conferred by UNESCO since 1997 when it was registered as part of the Historic Area of the city and port of Willemstad. At the heart of Curaçao's culinary landscape are its Antillean food of African origin, called Krioyo. If you want to eat fresh fish at a good price, check Sea Side Terrace and eat just by the Caribbean bay. Try also eating at Restaurant Playa Forti, which was built in 1958 on the ruins of a fortress on a cliff, where you will be served with a variety of local and international dishes while enjoying a spectacular view of the sunset. For a special night out, you may either relax in a jazz café or party hard in a nightclub. But the real party is in the beach bars where everyone nonchalantly breaks out into a dance on a great song with cocktails on hands. Check out Blues at Avila Beach, Hemingway Beachbar & Restaurant, Caribbean Lounge Bar, and Iguana Café, which gives diners a view of what is thought to be the oldest bridge in the world. Few days before the Lenten season, the people of Curaçao celebrate one of the largest and longest-lasting Carnival spectacles of the Caribbean. Right before practicing fasting and abstinence, people organise masquerade parties and marches in private clubs, dance on the streets, and participate in the Gran Marcha (Grand Parade) in fantastic floats, costumes, and characters. Definitely, it is an experience of a lifetime.